Christmas, New Year and January is when many of us take time off to celebrate, relax and rejuvenate and get ready to start the new year afresh. It is also one of the most popular times to take a holiday and reconnect with family and friends. Whether it’s a trip to the other side of the world, close to home or somewhere in-between, we have some fabulous ideas for you*. If you haven’t already booked your end of year holiday it’s time! Give us a call today. ‘Tis the season to celebrate with a festive, ultra-luxury Seabourn holiday cruise and a bounty of beautiful ports. Seabourn’s spacious ships are filled with feasts and festivities, so you can spend your holidays in a spectacular setting with luxurious accommodations, world-class dining and heartfelt hospitality. Choose from a great range of holiday voyages. Immerse yourself in all the splendour of an old-world holiday, cruising majestic waterways aboard a festively decorated ship. Uniworld offers a range of itineraries on the Rhine, Danube, and Seine rivers, featuring centuries-old Christmas Markets, memorable excursions, decadent confections and numerous other once-a-year delights to help you experience the very best of a European Festive Holiday. Uniworld’s Generations Programme is a great way to travel with multipule generations and is available on Classic Christmas Markets and Parisian Royal Holiday itineraries. Young travellers aged 4 to 17 save 25% and there are special programs, events and excursions designed specifically for young guests. Get the kids off their technology and outdoors having a ball on the slopes. Whether you’re a beginner or love the challenge of double black runs, there’s a ski destination for you! Canada, US, Japan, Europe? 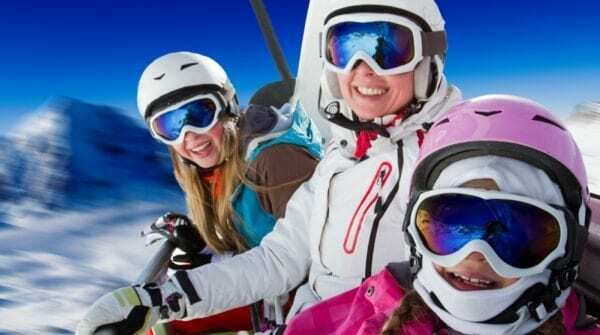 Our ski experts can help you choose the perfect resort for your skiing ability, your group needs and cultural interests. There are still earlybird ski holiday packages available, but some of these are expiring shortly. Lock in your preferred destination soon to avoid missing the best rates and your preferred accommodation. Whether it’s just your immediate family or an extended group, hiring a villa is a wonderful way to enjoy your holiday. There’s a selection of wonderful villas worldwide in fabulous holiday season destinations. Some even come with their own private chefs to make your festive season stress free and allow you to have time to reconnect with family and friends. Thailand and Bali are very popular destinations during the festive season. Give us a call we’d love to help you select a villa that’s perfect for you. * the above travel ideas and offers may be subject to terms and conditions, availability and black out dates. They may be withdrawn by the supplier at any time without notice.